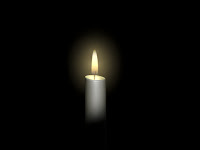 This week it was hard at first for me to think of something to be grateful for, with the tragedy at VA Tech and such, but I am grateful for those whose lives were spared and to see everyone pull together and support one another. I am also INCREDIBLY happy that it is going to be so warm here this weekend! I have been taking out all of my Summer clothes all week, and for some reason Summer clothes are so much more fun than Winter clothes. I was very happy to get my Winter clothes packed away! Why is it that Summer clothes just seem to match better? And we know how happy that makes me! Desighergals.com always puts a smile on my face! I am very grateful that they came up with this great concept and that I am able to share her on my blog with you guys! It was nice this week to meet so many new people at the wine class that I took and at the dinner for the Twin Cities Wine Enthusiasts last night. I am also grateful for old friends as well. I ran into a bunch of people I used to work with after dinner last night and it was so good to see them and catch up on their lives. 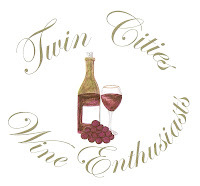 TC Wine Enthusiast logo courtesy of the Miss Chloe Minyon (isn't it FAB!). 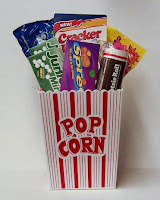 Movie night is tonight, I always am grateful that I have such a wonderful boy in my life who loves checking out new movies and having dinner with me every Friday night! It is such a great way to end the week and get ready for the weekend! So tonight is movie night. I think that we are going to catch Fracture with Anthony Hopkins. Looks pretty good. We have also thought about checking out Disturbia right after that, but we will have to wait and see how we feel. Tomorrow is estate sale day. We are also going to check out my mom's new shop in Lindstrom so that should be a fun day. I have a couple of projects, as usual, that we will work on at the boys as well as do some planting and get some yard work done, it is supposed to be over 70! The clothing swap for tomorrow was canceled and I am SO bummed. I have four bins ready to go and more to still go through. I do need some help going through some of my things, I asked my sister who was not much help and said to take the stuff I don't want and consign it. She doesn't get that I need help GOING through my stuff but oh well. I think I did a pretty good job with my yes, no, maybe piles but I think that when I am done I am going to have to go back through my yes pile again to weed through some more. Sunday I have a baby shower with my mom, sister and niece for a cousin who had a baby in March. It is supposed to be 77, question for you girls, do you think it is too early to don a Lilly dress? How about a Lilly skirt and sweater set? My niece is going to wear her Easter dress which will be really cute, but after unpacking all of my Lilly this week, I am just ITCHING to wear a dress. . . . 77 people, that is almost like 80. . . . .
Hope everyone has a fabulous weekend and that you all have really good weather! I know I am looking forward to the weather here! Don't you just love summer clothes?! I hate dark colors, and light, bright colors just make you feel so good--like a flower! If it's really close to 80, then I say go for the dress! I mean it's for an event, it's not like you're just wearing the dress to hit the grocery store! Have a wonderful weekend, Jilly. Darn being out of town i didn't get to weigh in on the Lilly talk. I would have said GO FOR IT!!!! !